Its that time of year again. Did you remember your mechanic friends? Here are some ideas for last minute, useful gifts for the mechanic in your life. Bladed spokes have a tendency to wind up increasing the time it takes to true or adjust a wheel. 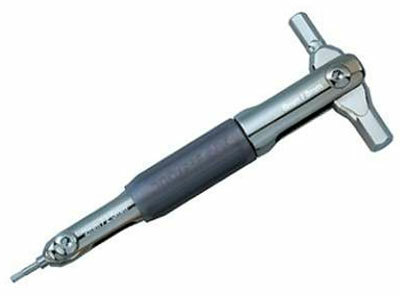 This tool provides four slots to hold spokes from 0.8mm to over 2mm width. 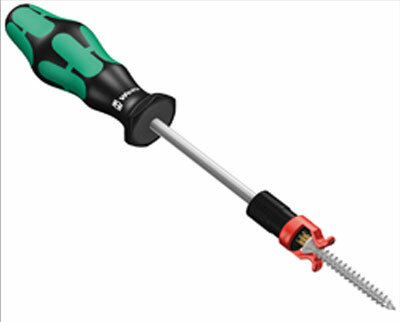 The Screw Gripper sits on the end of your screwdriver and holds the screw in place removing the need to squeeze your fingers in tight spaces. Looking for a way to impress your mechanic friends? How about a tool related set of utensils. No, the pliers don’t work and we don’t know what size the wrenches are. But does it really matter? 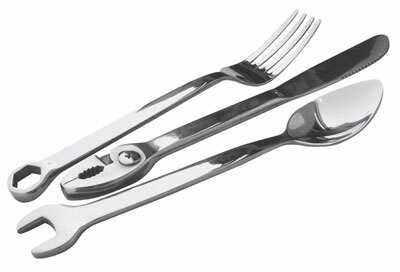 Funny utensils not your deal? How about a utensil that can actually be used as a tool? 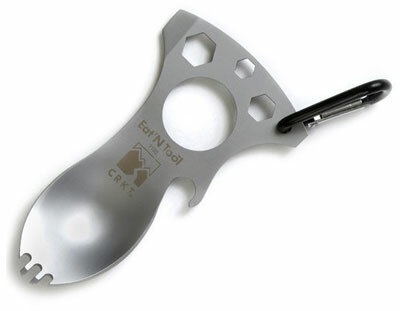 The Eat’n Tool offers a spork with three metric wrenches, bottle opener, screwdriver and a d-ring so it can be attached to keys and always at hand. Crack pipe disc adapter driving you nuts? 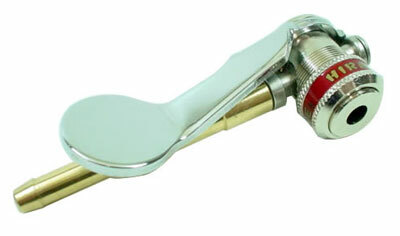 This head locks onto valves allowing you to pump tires where tight spaces typically require additional hands. Yes, a little expensive…but think of the time savings. Bragging is so much more beleivable when its followed with a video. 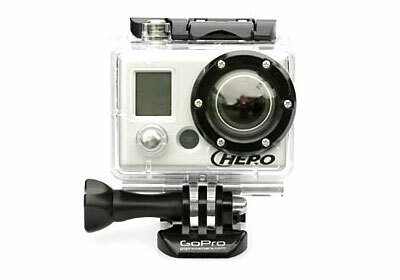 Record the important occurences in your day with a helmet cam from Oregon Scientific, Go Pro and others. 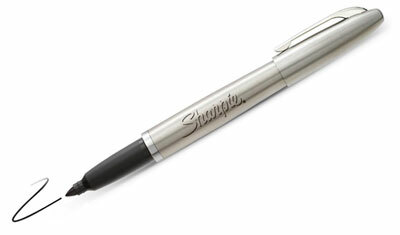 Prepare yourself for the “ooohs” and “ahhhs” when you whip out your new stainless steel Sharpie writing instrument. Its refillable and less likely to pop in your pocket. Don’t limit your heating to a single cup of coffee! 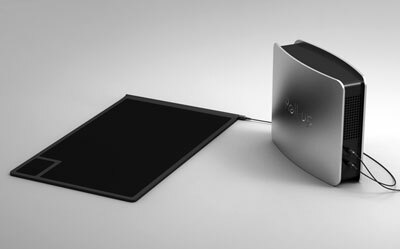 This roll-up will allow you to heat a variety of size containers and focus the heat on just that container due to a pressure sensors and heating coils in the surface. 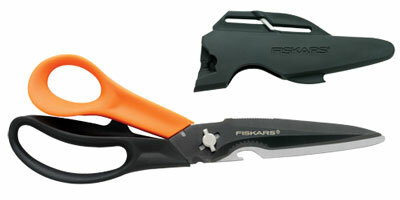 Fiscars is now producing the Cuts+More model which provides more than just typical scissor blades. This pair includes a notch for cutting twine and rope, wire cutters, an awl, and a bottle opener. Also includes a fancy sheath. 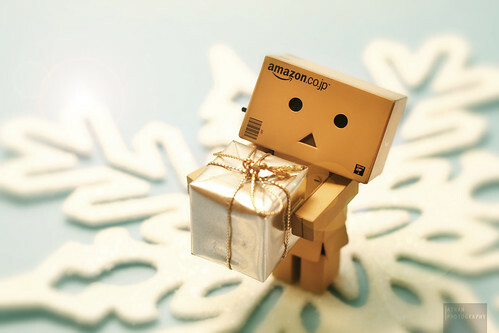 What are you hoping appears this holiday season? I’m not sure why but this website is loading extremely slow for me. Is anyone else having this problem or is it a problem on my end? I’ll check back later and see if the problem still exists. Great post on Last Minute Gifts for Mechanics | ProMechanics by the way!